Scott the Badger reminds us all that today, 4 June, marks the 68th anniversary of Torpedo 8’s famous attack against the Japanese fleet during the Battle of Midway. Of the core group onboard Hornet, 15 aircraft went into battle that day, and all were shot down by Japanese fighters or anti-aircraft fire, with the loss of every man except one, Ensign George Gay. VT-8 was equipped with Douglas TBD Devastators, a relatively slow and out-classed aircraft. A portion of the squadron was stateside, receiving the new Grumman TBF Avenger. These crews missed the sailing of USS Hornet, and so flew their aircraft in a series of stages to Midway, where they launched in support of operations against the Japanese fleet. Another detachment of VT-8 was left behind at Pearl Harbor, and sailed with USS Saratoga. Upon transferring to Hornet, they learned of the loss of their shipmates, and became the nucleus around which the squadron was reconstituted. Counting both detachments, there were 48 airmen who flew with Torpedo 8 on 4 June, 1942. Only three survived. I am not going to pass judgment on why their attack failed, or play armchair admiral. That’s for others to do. My point is to call attention to the sacrifice these men made. They knew the odds going in, and they flew their mission anyway. Alone, without fighter cover, the pressed home their attacks. It had to be tough, the rear gunners trying to fend off swarming Japanese fighters, while the pilots stayed on course and altitude, watching their shipmates go in one by one. They saw them fall, steeled themselves, and tried their damnedest to put their torpedoes on target. They upheld the highest traditions of the US Navy and of Naval Aviation, and left an example of courage and leadership and dedication for those who followed. God Bless them and their families. They’ll not be forgotten. There were many who underestimated the courage of the US servicemen. Most of them went down as the history’s biggest losers. When I think of George Gay, I think about how it must have felt, after the rescue, when he found out that he WAS Torpedo Eight. Also, how the TDY section of VT-8 must have felt, to have lost 48 brothers in one day. 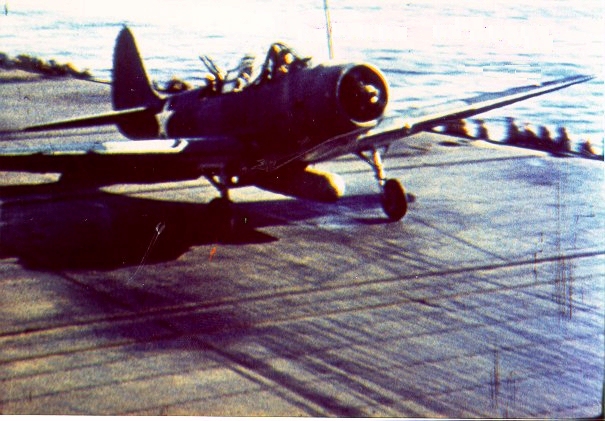 Also, Nagumo already knowing about presence of US fleet postponed launching his reserve strike force, about 90 strong until Midway bombing force safely lands… Had he launched them immediately there could have been at least one more carrier lost on the US side. Note thet if not for lone japanese destroyer returning to the main fleet after attacking US sub, Mc Clusky could have missed the carrier TF entirely and return due to lack of fuel. You’ll hate me for telling you this, but I have a signed copy of Sole Survivor by George Gay. Picked it up for $6. The guy didn’t even know what he had. Don’t hate you at all…. I seriously ENVY you, however……. Sigh. I had the food fortune to shake his hand many years ago at an airshow at Brunswick naval Air Station. Most of the folks around him hadn’t a clue who he was, and Mr Gay was somewhat embarrassed that he was recognized by me. Respects, and thanks for sharing!